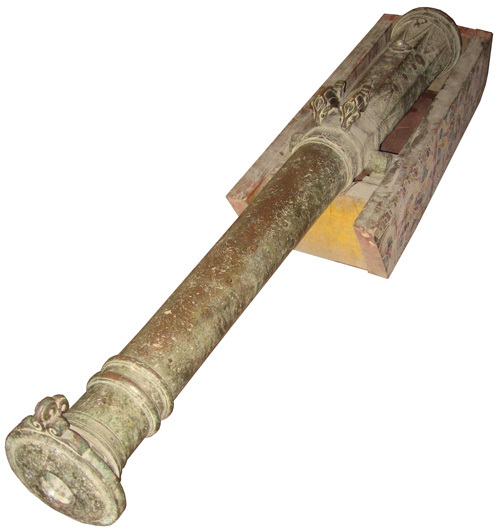 This rare and large 18th Century Portuguese Bronze Cannon is intricately carved and has silver Republic of Mexicana coins embedded in its first reinforcing area. 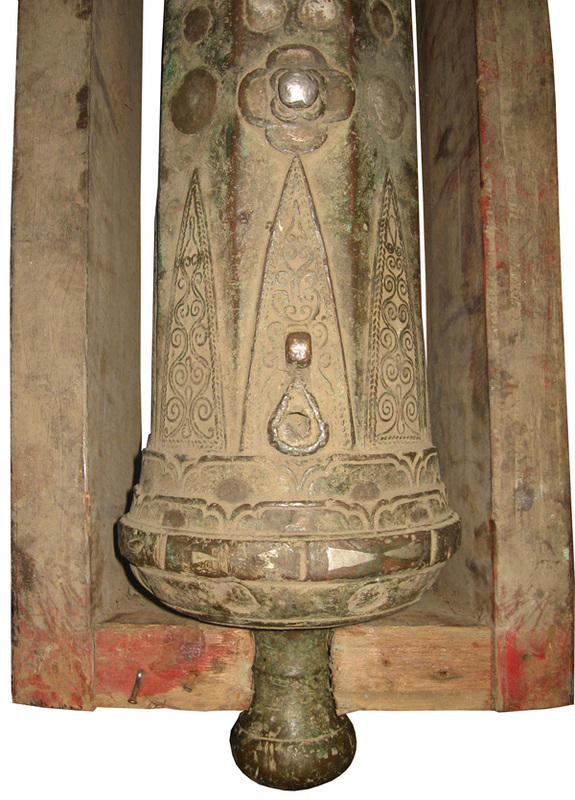 Silver is also embedded on the Breech. 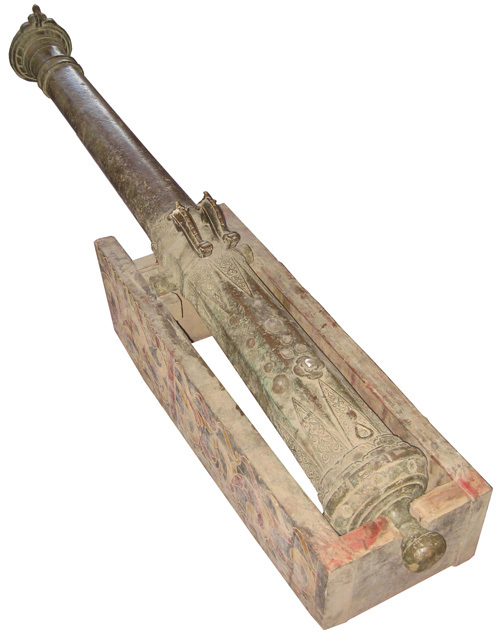 A cannon of this size and quality is quite rare and this one is in excellent condition. Fires a 2 pound 8 ounce Iron Cannon Ball (or slighty lighter Stone Cannon Ball)! PRICED LOW FOR FAST SALE!!!! The front of the muzzle has a raised sight. On the First Reinforcing there’s a raised leaf-like design under the rear sight. 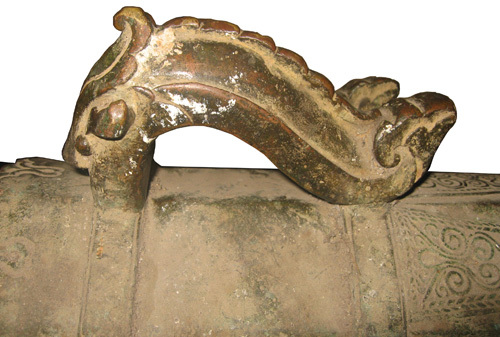 This type of design is similar to other 16th through 18th century bronze Portuguese type cannons therefore we are assuming this cannon is of Portuguese origin also. 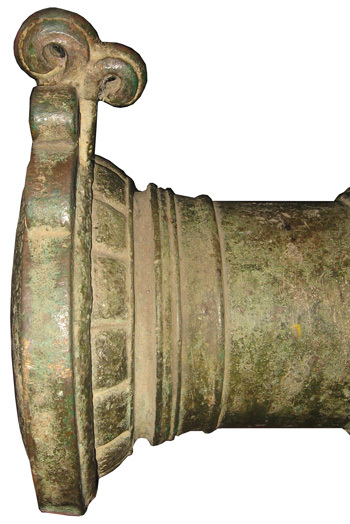 Muzzle, reinforcings, dolphins and solid cascable [without any hole] also give clues to the Portuguese origin of this beautiful bronze cannon. 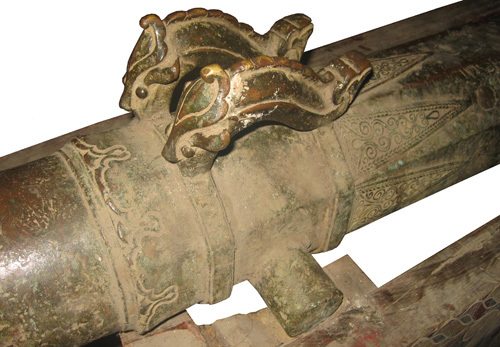 Because this cannon also has obvious Asian influence and designs throughout, this Portuguese cannon was most likely cast in Borneo (Brunei) or Portuguese Ambon sometime between mid 1500’s through 1700's. 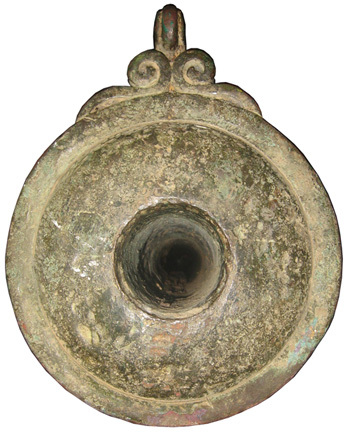 These cannons [usually much smaller in size] can still be occasionally be found in the more remote villages throughout the Indonesian and Malaysian archipelago. 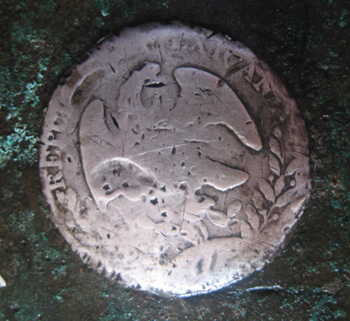 However, this is the first one we have seen that is decorated with Silver Republic of Mexicana Coins ever! This makes it is very rare. 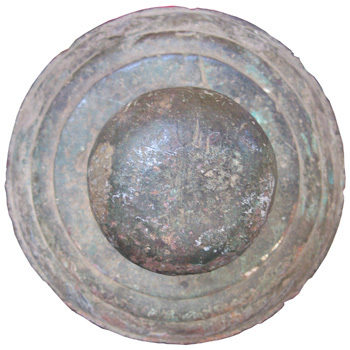 Bore Diameter = 2 1/4 inches (5.7 cm) - Fires a 2 lb 8 oz Iron Cannon Ball!